SSAIB, the UK and Ireland’s leading security, fire and telecare certification body, has demonstrated its commitment to IT security by successfully meeting the Government-endorsed Cyber Essentials Plus standard. The industry-supported Cyber Essentials scheme helps prevent the vast majority of cyber attacks and sets out a range of security controls to help protect an organisation against cyber threats to its IT systems and software. The scheme comprises two levels: level one, Cyber Essentials, requires a completed self-assessment questionnaire, with responses independently reviewed by an external certifying body. 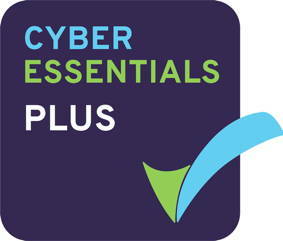 Cyber Essentials Plus covers the same requirements, but with tests of an organisation’s systems being additionally carried out by an external certifying body using a range of tools and techniques. The move means SSAIB becomes the first certification body within the security and fire sectors to achieve Cyber Essentials Plus accreditation, demonstrating to its 1700 registered firms, as well as insurers, the police, end users, specifiers and others that it takes the issue of IT protection seriously. Following the news, SSAIB’s chief executive Alex Carmichael remarked: “It’s great to see the organisation being awarded with Cyber Essentials Plus as it shows that we are fully committed to IT security.